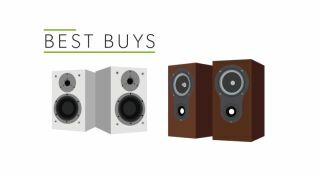 Best bookshelf speakers | Best buys | What Hi-Fi? Not everyone has the space (or the inclination) for a great big pair of speakers - but it's possible to get great sound from small cabinets positioned on a stand or even on a bookshelf. Here's are the best pound-for-pound bookshelf-friendly speakers around. Create a superbly entertaining speaker that doesn't cost the Earth? Mission possible! Fine build, great sound and a bargain price - no wonder these Dalis are Award-winners. Q Acoustics has taken an Award-winning design and made it even better. As good a pound-for-pound bookshelf speaker as you can buy. A rage of talents as long as your arm (even if your arms are very long indeed). Every Monitor Audio range has something to recommend it - but the Silver series may be the best of the lot. As entertaining a sub-£1000 speakers as we've heard. Superb sound and vanishingly small dimensions make these the perfect bookshelf choice.